Fifty-seven colleges and universities nationwide have joined the #YouAreWelcomeHere national scholarship program, pledging to offer scholarships for international students to study in the U.S.
Temple University leads the national initiative, which began in May 2018 with nine universities, on the heels of a widespread social media campaign. Since then, the #YouAreWelcomeHere scholarship program has received commitments from institutions coast to coast, from Maine to Hawaii, and from community colleges to large, public universities. 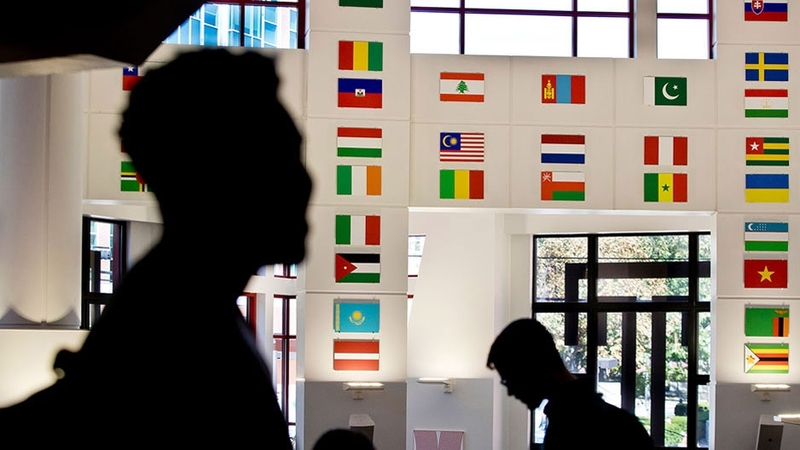 This new scholarship program will provide financial support for incoming international students who are committed to furthering the #YouAreWelcomeHere message through intercultural exchange that bridges divides at their future campuses and beyond. Discover more about the 2019 #YouAreWelcomeHere Scholarship. Read news articles charting the growth of the#YouAreWelcomeHere campaign. Find out about other organizations and schools dedicated to diverse, inclusive communities of international scholarship.